For more information regarding this event, please email Claire Wilkins at c.l.wilkins@soton.ac.uk . As part of the University’s Great War Unknown War programme to mark the centenary of the First World War, a study day, ‘DAZZLE – Disguise and Disruption in War and Art’, will take place at Avenue Campus on Saturday, 30 June 2018. 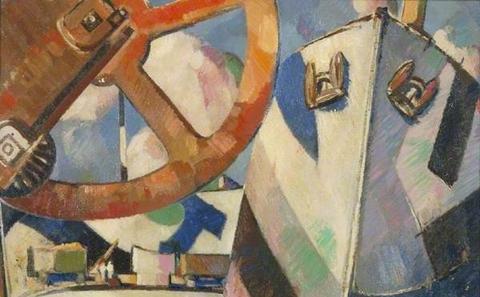 Featuring specialist speakers on dazzle camouflage, and its relationship to modern art movements such as Vorticism, the study day complements a major exhibition at Lymington’s St Barbe Museum and Art Gallery, and a variety of activities planned to take place in Lymington and Southampton.